"If Bigfoot was the great boogeyman of the 1970s, then the Bermuda Triangle (or sometimes Devil’s Triangle) was, perhaps, a close second. The Bermuda Triangle is a region of the North Atlantic Ocean where many ships and planes have allegedly disappeared without a trace, for decades. Stories of such vanishings were actually reported as early as 1950, but it was during the seventies that pop culture’s obsession with this “cursed” area of the sea really went off the scale. 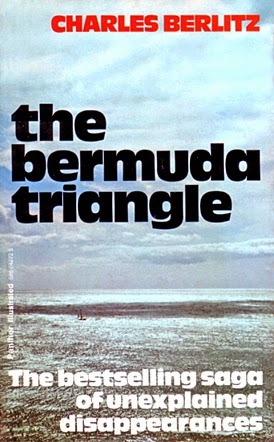 This may have been because of author Charlie Berlitz’s “bestselling saga of unexplained disappearances,” The Bermuda Triangle, which was published in 1969 and re-ignited interest in the Bermuda Triangle while selling more than twenty million copies. Below are five pop culture memories of the Bermuda Triangle Craze of the 1970s." 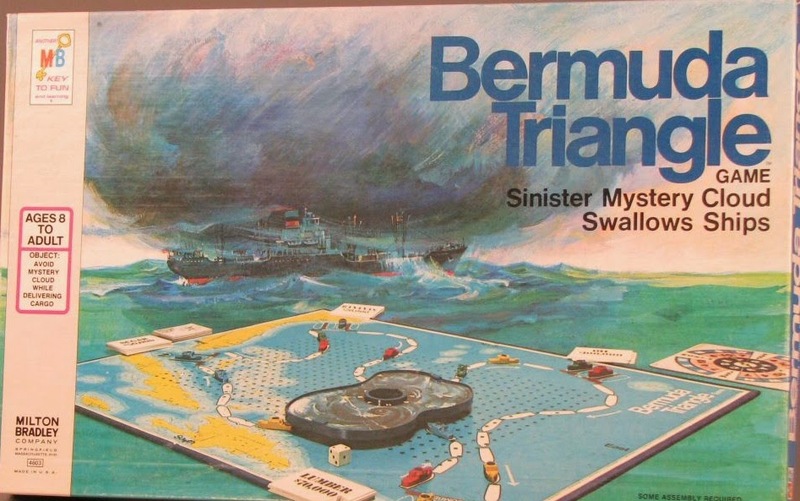 I loved that Bermuda Triangle game as a kid. I bought it on ebay a few years ago and it is still tons of fun. Had friends over two weeks ago and showed it to them as a matter of fact. The inevitable connections with the UFO phenomena also made the Bermuda Triangle a very interesting topic to me then and now. I blame that game for my fear of black clouds as a kid. 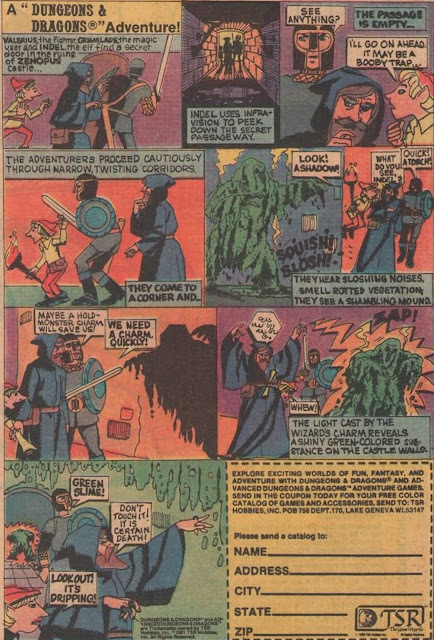 John the Bermuda Triangle is an awesome part of my '70s boyhood! First, thank you for these postings. I am just a lurker but do stop by everyday (or so) to get my fix. Anyway, sorry to bother you with this, but just curious if you are going under a different name and crossposting from here (and Flashback) to io9, because they have posted a similar column today you might want to check out. Thank you for letting me know about this. I posted your comment so there would be some record of this. I do feel I was ripped off as the other writer used all the same links I did, and even focused on the "pop culture" angle of the Bermuda Triangle, so the MB game could be brought in. I'm weighing what to do, but I thank you for alerting me to the unprofessional behavior of the author in question. If anybody reads this please feel free to contact the editors of Io9 and let them know what one of their "authors" is up to. Thanks!